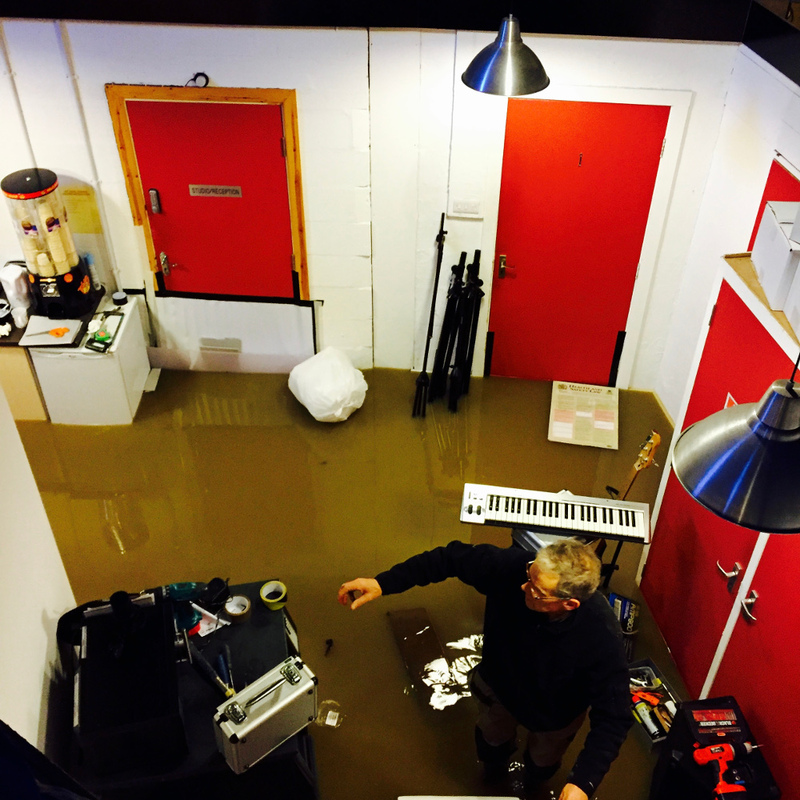 In last monthâ€™s newsletter we reported that York-based Melrose Yard Studios was critically affected by the Boxing Day floods. 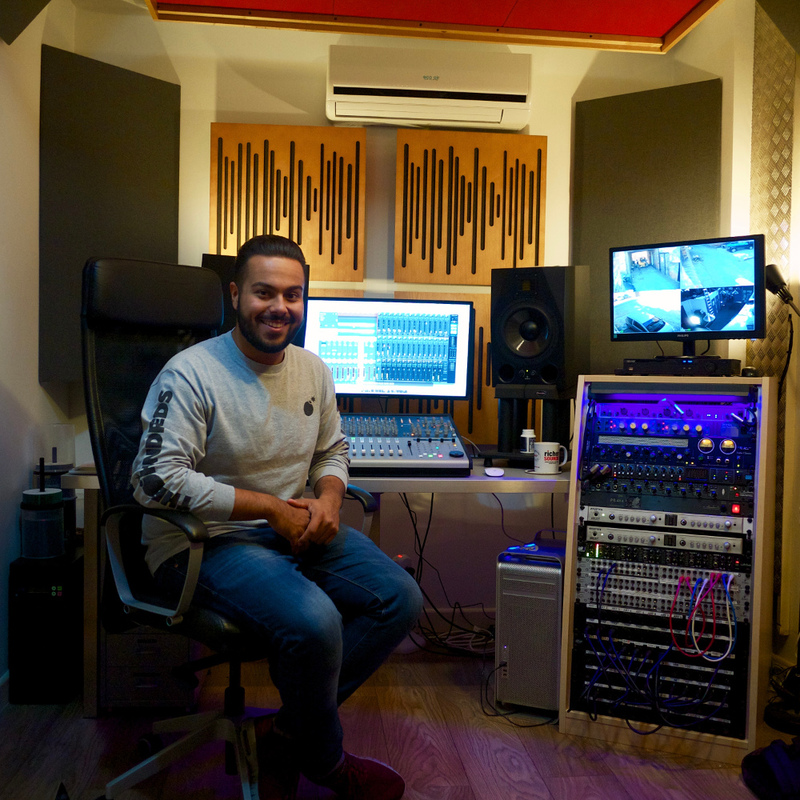 Russ Hepworth-Sawyer from MOTTOsound went to York to meet studio owner Sam Holdstock and engineer, Dominic Smith to find out how the rebuild is going. Walking into the quaint yard space within the historic York city walls on a dry February morning, youâ€™d never think that a major flood, said by many to be the worst in living memory, had devastated this area on Boxing Day 2015. Melrose Yardâ€™s studio building was under fifteen inches of water! 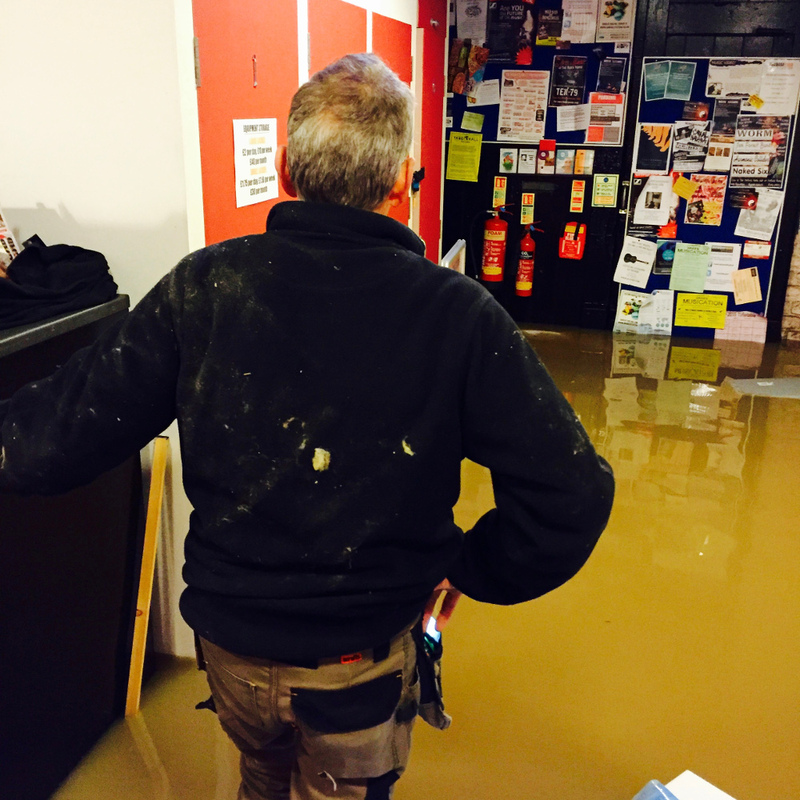 It destroyed all the raised acoustic floors, low level soundproofing, rehearsal amplifiers (some good Fender amps), drums and much of the electrical and audio wiring in the building. Fortunately some of the recording studio equipment was not affected, being racked higher up. Nevertheless, much was still destroyed. For many businesses this would have been the end. This would have been ‘time to move on’. But not for Melrose Yard. 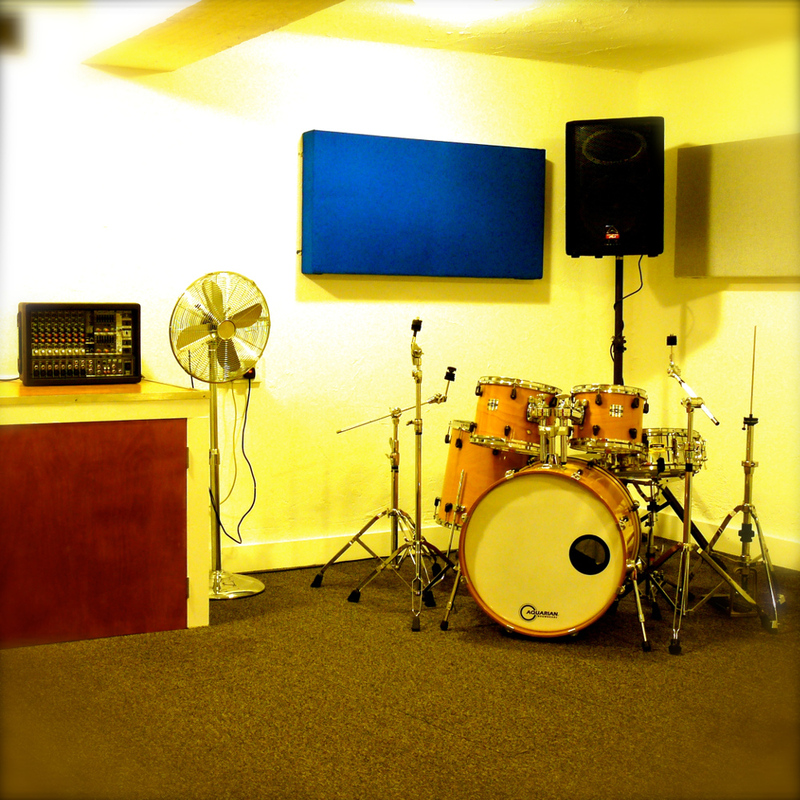 Â Melrose Yard Studios has been part of the York music scene for many years and has two large rehearsal rooms (27.5sqm and 24sqm) and one smaller room (21.5sqm). In addition to this all the spaces were tie lined to the small, but boutique control room (15sqm) centred around a Focusrite 2802 desk and a computer-based set up (photo). Dom, who recently recorded demos with Hello Operator which got them signed to a major label, explains the Melrose philosopy “… we enable clients to either come in and dry hire, using their own laptops, but connect into our interfaces and spaces, or we’ll power up our Mac Pro, which we’re putting in our new machine room upstairs. Our Focusrite desk and layout is fluid for people to come in and work, and we’re keeping this philosophy going after the rebuild.” It’s clearly a philosophy that has engaged with clients in the past as The Blueprints, Paula Ryan, Ripley and Magnificent 7 have all recorded there. You can see by the pictures how badly the studio complex was affected, but Sam and Dom are using the downtime to look at extra connectivity between the rooms, as well as improved CCTV from all rehearsal/live rooms to the control room and the new machine room upstairs. Sam explained the real issues that he and his family (who own the old building) face. “Unfortunately my business was wiped out on Boxing Day. My family, friends and lots of volunteers have had to rip the entire flooring up, strip back the walls and weâ€™re now coming to the end of the process of rewiring, redecorating and replacing costly sound proofing throughout the studio. 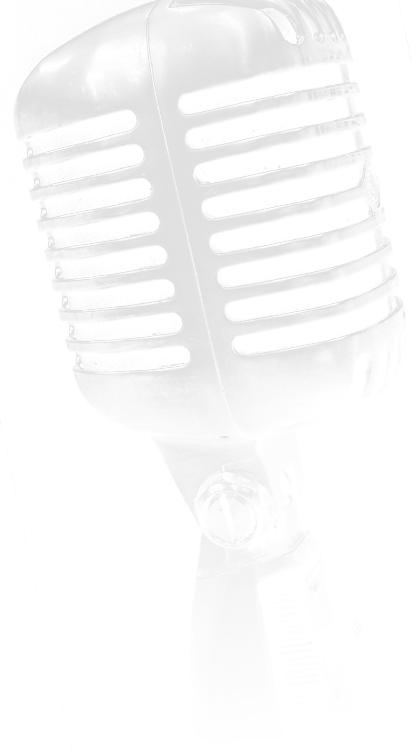 “The other major issue we have is that weâ€™ve lost a lot of very valuable musical equipment including amplifiers, PA speakers, cabling but most importantly mics including our C414s. I also have wages to pay, alongside general running costs, and up to now I have lost two monthsâ€™ income due to the ongoing renovations. The real sting in the tail is that my insurance company will not be paying out, so I am relying on donations from customers, friends, family and other businesses in order to raise the funds needed to get the facility up and running again. Over the past seven years Melrose Yard has built up a loyal customer base within the local community and beyond. They have over twenty bands/artists passing through their doors each week and many of these customers use the studioâ€™s equipment for back line or vocal PA. Sam explains that “as much of this equipment was destroyed weâ€™ve really struggled to put the rehearsals back together again in as quick a time as possible. But weâ€™ve managed it! So, if any manufacturers would consider donating any equipment weâ€™d be incredibly grateful and in return weâ€™ll place their logo on our website and later a framed certificate to say â€˜endorsed byâ€¦â€™ or similar, on the walls, providing long-term free advertising to those firms.” Please get in touch if you can help. Two months after the studios were flooded, work continues on a daily basis on all the rooms including the recording studio’s control room and booth. Sam’s priority has been to get the rehearsal rooms up and running as quickly as possible, partly because of their loyal customers, but also because there are so few facilities in the local area. All the rooms have now been well restored and are ready to go. New floor structure, carpet and lower walls adorn the rehearsal spaces. Audio wiring is interspersed with new furniture. Clients such as Halo Blind and others are starting to book again and there has been an upsurge of bookings and support for the studio from the likes of Julian Richer (Richer Sounds). All in all, Melrose Yard will come out stronger from this painful experience. Melrose Yard Studios is open for business for rehearsals and will be open for recordings by 19 March. We wish them well!